In this third post of the blog series based on the 90-day Success Plan Course, we cover 5 simple steps that can help you to clear, streamline, and manage your schedule – no sweat! In the previous post we discussed how to achieve your goal without overwhelm, or at least manage that feeling of *arggggggh! * and feel more in charge of things. Have a look at it here. The post before that shows how to create a plan, the first step towards success in this series. If you haven’t seen it yet, check it out here. Balancing our everyday routines can be one of the trickiest parts of our lives. Mismanaging our time often increases our stress levels. Whilst raising my daughter I went through some pretty extreme personal experiences. In addition to combatting all of that, I was also intent on giving her a stable and amazing upbringing. 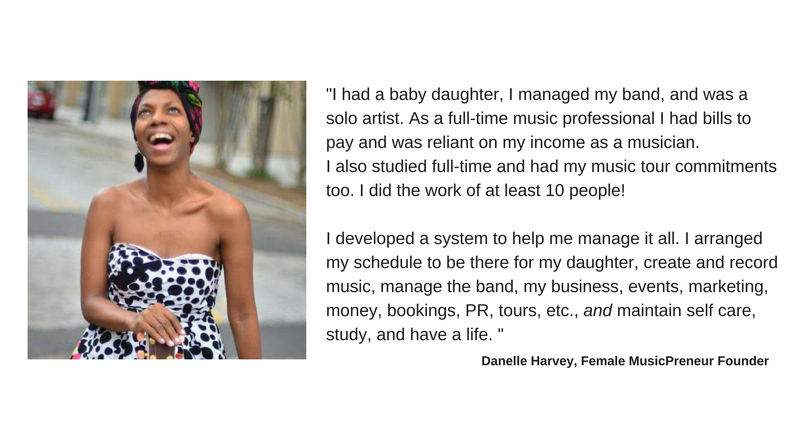 My focus was on giving her regularity whilst building a successful business (as an solo indie female musicpreneur), getting through personal stuff, self-care, and doing it all alone – which I mostly did. This required a no-nonsense approach about dealing with my time. So, I became a ninja at time management! I had always been punctual, but I took things to another level. I extracted some skills that I developed and strategies that I devised to create the tips in this blog post. I also help my clients to build these skills and more. I hope you find it useful! In the previous post, you learnt how creating a firm plan can help to prevent overwhelm. That’s just one part of getting rid of confusion. Next, we have to put your plan into action. To do this we have to make the time to do it. This of course, brings us to overwhelm central! 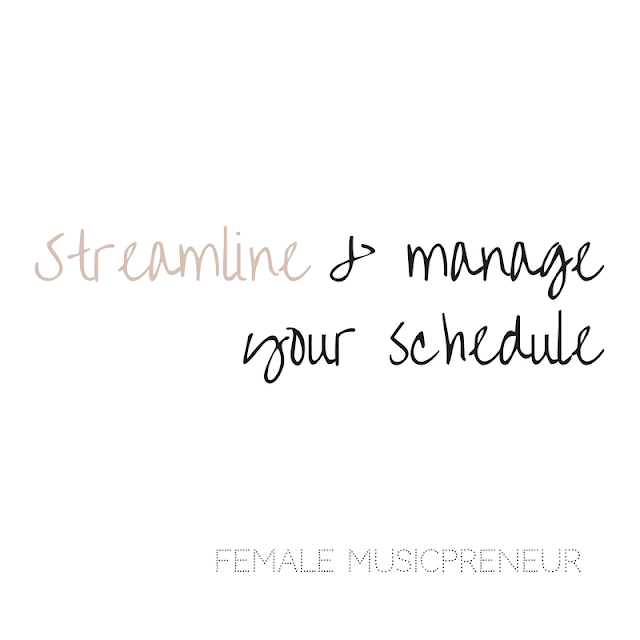 Because I know, female musicpreneur, that your overburdened schedule is a HUGE part of your productivity and self care problem! We’ll look at this briefly in this post. 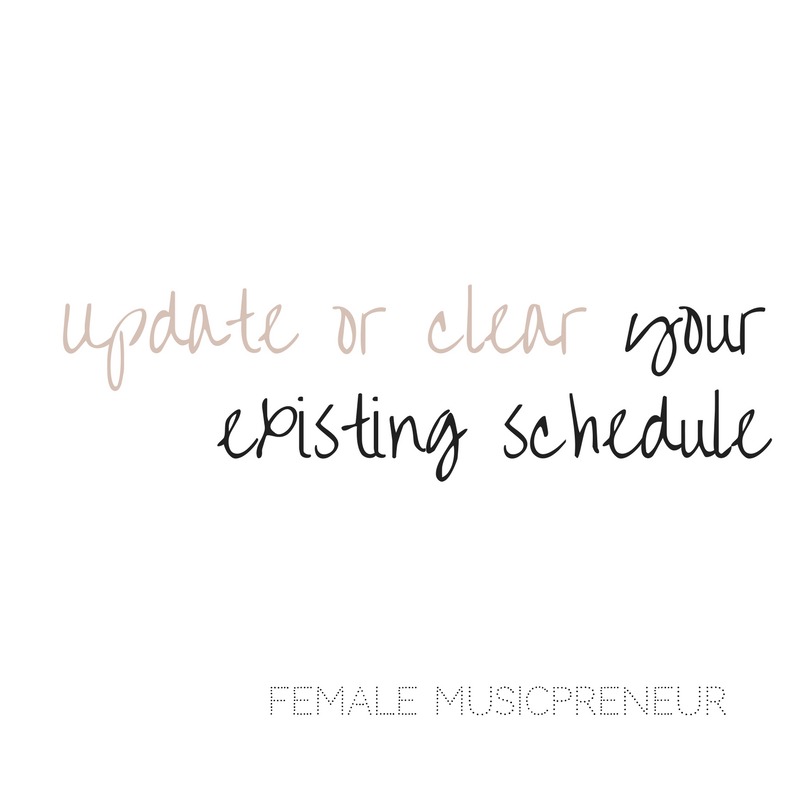 So now it’s time to clear that impossible schedule and create a streamlined and manageable one! Now brainstorm everything that you think needs to get done. Include those that incorporate steps towards your main goal, determined in part 1. 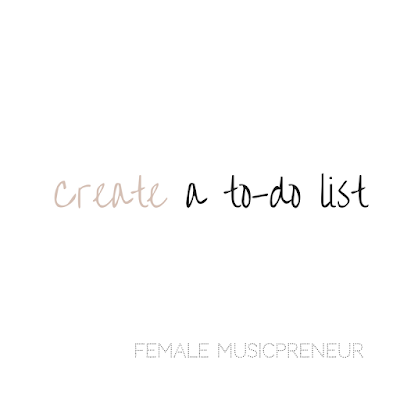 Make sure that you know all the tasks that need to be done for a given period or project and list them all. The list/schedule from the last post will come in handy here. 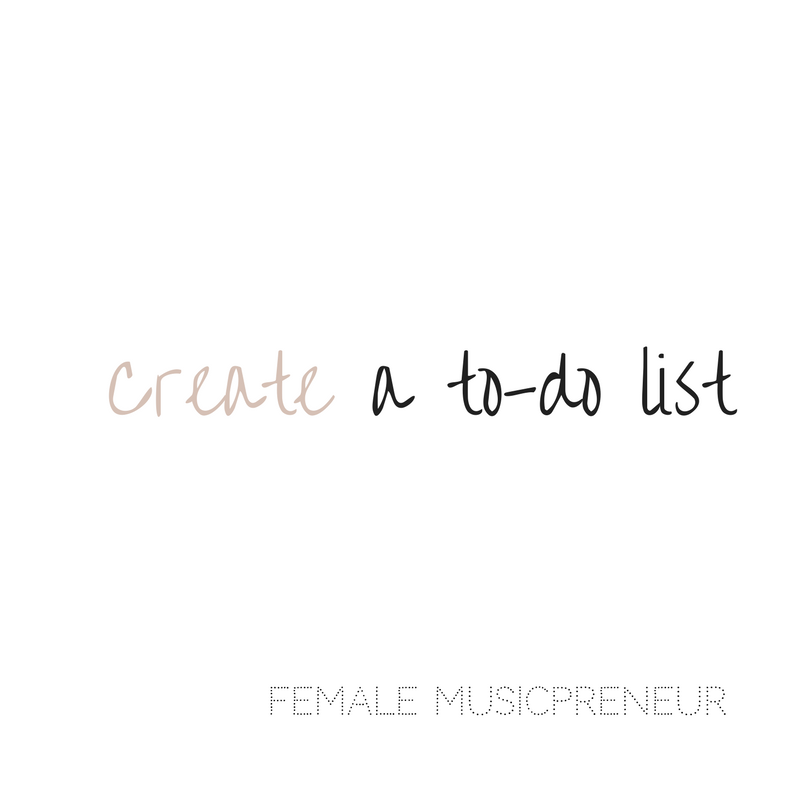 Are all those things in your to-do list really necessary? Can they wait or get ditched? It’s easy to just keep going on auto pilot, but when we can objectively look at all we think have to do, we are able to get rid of what isn’t necessary. This frees up so much time! 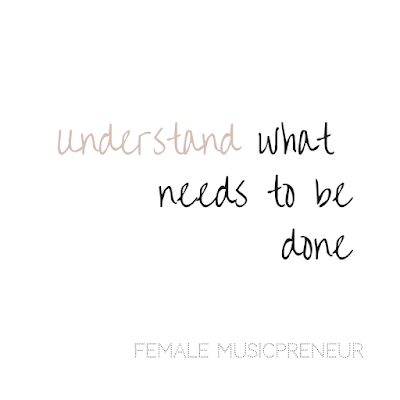 Plus, if we don’t actually acknowledge our duties, we can feel overburdened due to our lack of clarity and that it’s all too much to handle. Put anything not urgent on the back burner for now. If it does have a deadline, move it to a later date (in your calendar or diary) at which you can realistically address it. Look at your schedule for the period. Do the scheduled slots match your revised to-do list? What tasks or duties are unnecessary? What ones can be pushed back? Just like the previous section, you have to really work on your schedule and get rid of anything extra. Kick it to the curb! Don’t forget to crank up the tunage, lady boss. Play your fave cleansing or productivity song whilst doing this! Now, place newly defined tasks into your calendar according to timelines and realistic outcomes. Make sure that you consider all aspects of your tasks and goals and focus on re-filling that calendar in order of priority. It might seem over the top, but if you want to ensure that you are getting things done and you want to feel as though you are living your life and not just going through the motions – as if you have no choice, prioritising what you do and owning your schedule is a great way forward. Plus, if you’re super unorganised like I was, you can free up your time and find that everything will seem less stressful and hurried. This means that you get to LIVE a little. Like, you know, enjoying the space in your schedule and breathing deeply for a while. Don’t deny yourself that simple pleasure! 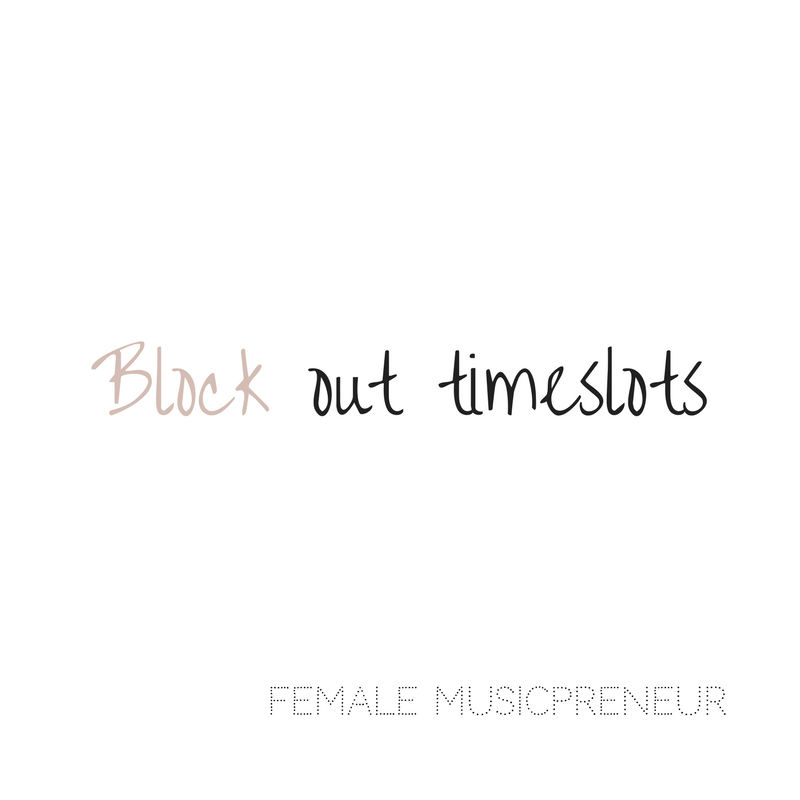 Whilst creating your schedule (see step 4), as you’ve already figured out how much time you’ll need to carry out each step (see part 2 here), you can easily block out relevant time slots in your calendar. Often, we don’t plan adequately, so when something unexpected goes wrong it can throw us off and leave us feeling as though we’ll never get it done. Then, we get caught in the catch-up cycle and end up feeling so behind that we beat ourselves up. Setting adequate time for steps helps you to keep on top of what’s going on. 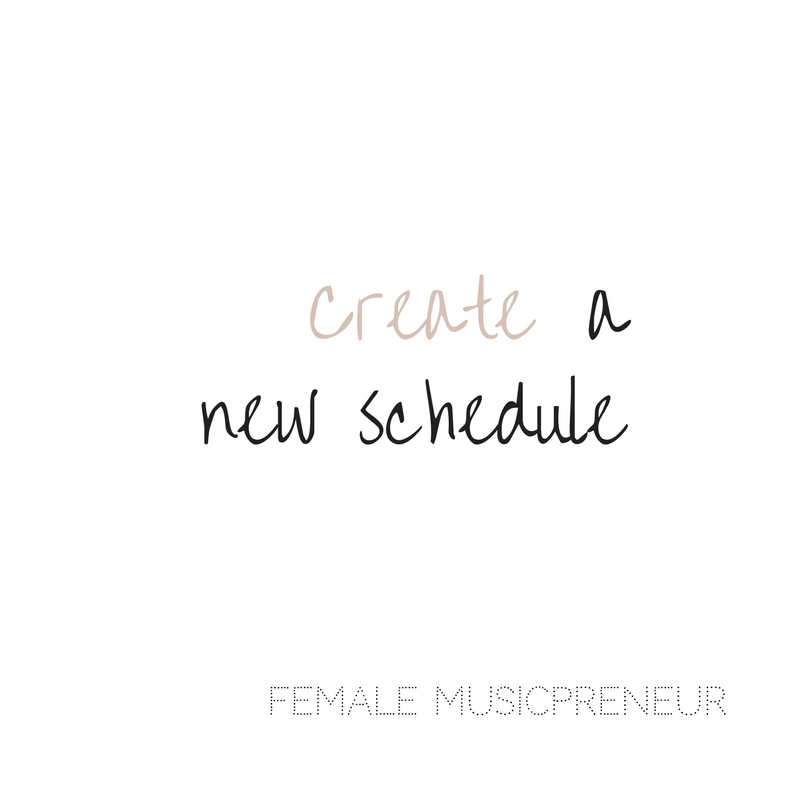 This makes you able to tweak, streamline and manage your schedule and make it seem more effortless – as a boss lady musician should! So hurrah! You have the basics down for creating a streamlined schedule. Now, this is just the tip of the iceberg. 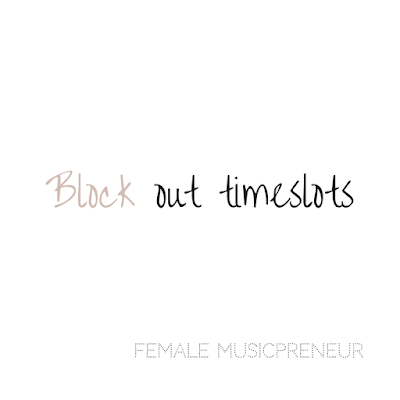 There is more to really owning your time and having THE most streamlined and organised schedule going. For exercises that will walk you through creating a schedule to ENSURE you LIVE the money making and career progressing lady boss musicpreneur life that you crave, try our free SUCCESS mini course. If you’re ready to get organised and to prepare for a positive boost and change to your life, income, and career, this one is for you. LEAVE A COMMENT. LET US KNOW! Our FREE Success Plan for Female MusicPreneurs mini-course goes deeper. Plus, it provides practical exercises to help you achieve success for each of the success steps along the way. This blog series is a micro segment of our 90-Day Success Plan Course that takes you from confusion and overwhelm to owning your career and seeing amazing results in 90 days or less. If you’d like early access and your VIP invite, click here to register: 90-Day Success Plan Course.